Will this harm my pets if I use it in the house? 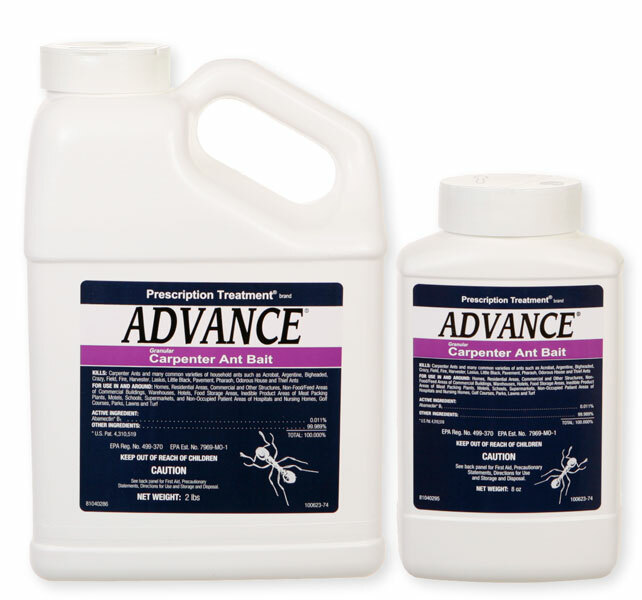 Advance Carpenter Ant Bait is generally used outdoors. It can be used indoors in attics, wall voids, electrical switches, storage closets, etc. Sprinkling it indoors along baseboards where pets can get to it is not recommended. The active ingredient is basically a soil fungus called Abamectin. It can make animals sick if they consume enough of it. The trick is to apply it where the ants can find it. This is generally outdoors around the foundation, under shrubs, etc. It has to be reapplied every 3-4 days to keep it fresh and until the ants quit feeding on it and die. 1 application usually is not enough. A typical application would be 1/2 cup around a complete perimeter of the house. It doesn't take much. A little goes a long way.